Comment: What follows is a scholarly analysis of the Diaoyutai Islands dispute by Professor Kiyoshi Inoue of the Department of History at Kyoto University, Japan. Japanese historians and cartographers know full well that the Diaoyutai Islands belong to China. Kiyoshi Inoue agrees with the prevailing international perspective, shared by the United Nations, which considers the PRC government in Beijing the legal government of China. The issue here is not whether the PRC government in Beijing is the legal government of China, or the ROC government in Taipei is the legal government of China. Whether the PRC government in Beijing is the legal government of China, or the ROC government in Taipei is the legal government of China is an internal affair, to be settled between Chinese on both sides of the Taiwan Strait. The issue here is that Diaoyutai does not belong to Japan. The issue here is that Diaoyutai belongs to China, regardless of who is charge of China. Predicated on the Japanese people’s opposition to militarism, one should reject the name Senkaku Islands, which was adopted by Japanese militarists after seizing them from China. One should use the only correct historical name, Tiaoyu (Diaoyutai) Island. 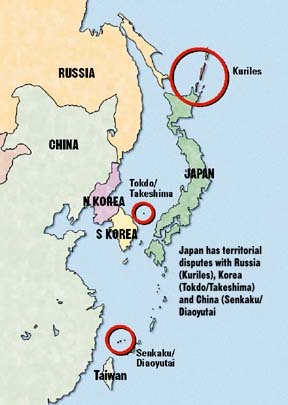 The islands being referred to in Japan as the Senkaku Islands, and to which the Japanese Government claims title, have historically been China’s territory. As the victor in the 1894-95 war with Ching Dynasty China, Japan seized these islands, along with Taiwan and the Penghu Islands, and incorporated them into Okinawa Prefecture as Japanese territory. The Cairo Declaration, issued jointly by China, the United States and Britain during World War II, stipulates the return to China of all territories Japan had stolen from China during and after the Japan-Ching war, including Taiwan and Manchuria. The Potsdam Proclamation issued by the allies stipulates that Japan must carry out the conditions of the Cairo Declaration. These islands automatically reverted to China as its territory, just as Taiwan automatically reverted to China when Japan unconditionally accepted the Cairo Declaration and the Potsdam Proclamation and surrendered to the allies, including China. It follows that these islands are the territory of the People’s Republic of China, the sole authority over the whole of China. But in collusion with U.S. imperialists, reactionary rulers and militarist forces within Japan are clamoring that the Senkaku Islands are Japanese territory, attempting to drag the Japanese people into a militarist, anti-China whirlwind. This whirlwind is certain to become fiercer after US armed forces return the so-called “administrative right over Okinawa” to Japan on May 15 of this year. We who are striving for the independence of the Japanese nation, for friendship between Japan and China, and for peace in Asia, must smash this conspiracy by U.S. and Japanese reactionaries. As a weapon in this struggle, I am providing a brief account of the history of the so-called Senkaku Islands. For a more detailed and specialized account of my research, please refer to my article published in the February 1972 issue of Historical Research magazine. The Chinese emperor first sent an imperial envoy to Ryukyu in 1372. Ten imperial envoys traveled between Foochow and Naha before Chen Kan. They took the same route as Chen Kan, heading for Keelung and the Pengchia, Tiaoyu (Diaoyu), Huangwei and Chihwei Islands respectively, arriving at Kume Island, and finally entering Naha Port through the Kerama Islands. (During their return trips, they sailed northward directly from Kume Island without passing Tiaoyu (Diaoyu) Islands.) Therefore, if the records by imperial envoys before Chen Kan were available, they would surely have mentioned the Tiaoyu (Diaoyu) and other islands. Regrettably, those records have been lost. Those by Chen Kan are the oldest in existence. From the absence of any explanatory notes on the Tiaoyu (Diaoyu) and other islands, it can be concluded that the locations of these islands had been known long before, and that they had not only been given Chinese names, but had also been actually used as navigational markers. What is particularly important is that in his records. Chen Kan described how he started form China’s territory Foochow and passed by several Chinese islands, and not until he had arrived at Kume Island did he write: “It belongs to Ryukyu”. The records pointed out specifically that lying ahead of the Kume Island was Ryukyu. This clearly shows that the islands he passed by before reaching Kume Island were not Ryukyu territory. Kuo Ju-lin, the imperial envoy following Chen Kan, set sail from Foochow on the 29th of the 5th moon in 1561. In his Re-engraved Records of the Imperial Mission to Ryukyu, he wrote: “On the 1st of the intercalary 5th moon, we passed by Tiaoyu (Diaoyu) and arrived at Chih Yu on the 3rd. Chih Yu is a hill bordering on Ryukyu territory. Another day of favorable wind, and Kumi Hill (Kume Island) will be in sight”. In other words, what Chen Kan had written – the area beyond Kume Island was Ryukyu territory – is also found in Kuo Ju-lin’s observation that Chihwei Yu was the boundary between the Ryukyu region and China’s territory. It is clear from the above two documents that Ryukyu territory began from Kume Island, whereas Chih Yu Island and the area west of it were China’s territory. Toshio Okuhara, Associate Professor of International Law of Kokushikan University, argues that the records of Imperial Envoys Chen Kan and Kuo Ju-lin only mentioned that Ryukyu territory began from Kume Island and that the area they covered before reaching Kume Island did not belong to Ryukyu. Toshio Okuhara argues that the records did not state explicitly that Chihwei Yu and the area west of it were China’s territory. Therefore, he held that they were res nullius or lands without owners (“Title to the Senkaku Islands and the ‘Ming Pao’ Article” by Okuhara, Chugoku magazine, September 1971). But this amounts to explaining ancient Chinese writings by interpreting it according to modern international law. It is sheer sophistry. True, the Imperial Envoys Chen Kan and Kuo Ju-lin had not written explicitly that everything as far as Chih Yu was Chinese territory. But they set sail from China’s Foochow, passed through waters off Taiwan’s Keelung which is self-evidently Chinese territory, and then passed by Pengchia Yu which again is self-evidently Chinese territory. Upon finally arriving at Chihwei Yu after passing by Tiaoyu (Diaoyu) and Huangwei, they wrote that it was the boundary with Ryukyu. Moreover, when they came in sight of Kume Island they added that it belonged to Ryukyu. From the structural coherence of such Chinese writing, is it not abundantly clear that to them, everything from Taiwan and Pengchia to the Tiaoyu (Diaoyu), Huangwei, Chihwei islands to the east all were Chinese territory ? Okuhara also argued that since the records of Imperial Envoys Chen Kan and Kuo Ju-lin are the oldest in existence and since there are no similar records by imperial envoys after them, it would be meaningless to take such ancient records as evidence for current issues. This also is utterly groundless and runs counter to the facts. Among the records by imperial envoys following Chen and Kuo, the Chungshan Mission Records written by the Imperial Envoy Hsu Pao-kuang in the 58th year of Kang Hsi during the Ching Dynasty (1719) cited passages from A Geographic Guide in Outline written in 1708 by Cheng Shun Tse, the most renowned scholar of Ryukyu in his time. 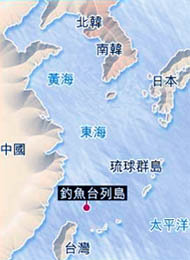 The records described the navigation route from Foochow to Naha, and when referring to Kume Island, called it “the Chen Hill at the southwest border of Ryukyu.” Chen means garrisoning the state frontier or a village border. The Chungshan Mission Records also dealt in detail with the territory of Ryukyu, which comprised the 36 islands of Ryukyu including the island of Okinawa. Chihwei Yu and the area west of the it were not included. Furthermore, at the end of the explanatory notes on the Ishigaki and eight neighboring islands of the Yaeyama Archipelago, it was written that the eight islands were “the southwestern most boundary of Ryukyu” (the Iriomote Island of the Yaeyama group among the Ryukyu Islands being the nearest to the Taioyu (Daioyu) Island). The Chungshan Mission Records were based on writings by the great scholar Cheng Shun Tse and many other Ryukyu people as well as talks between Hsu Pao-kuang and high-ranking officials of the court of the Ryukyu king. Therefore, the above-mentioned descriptions of Kume Island and Yaeyama Islands are actually the views not only of the Chinese but also of the Ryukyu people at that time. Noteworthy is a description from the Records of the Imperial Mission to Ryukyu written in 1683 by Wang Chi, and imperial envoy before Hsu Pao-kuang. It said that when the ship passed beyond Chihwei Yu, a sacrificial ceremony was held to pray for safety on the sea. That area was referred to as chiao (outskirts) or kou (trough) and was clearly defined as the “boundary between China and foreign land.” Here, Okuhara’s wish has been fulfilled — the boundary between China and Ryukyu has been explicitly documented. Concluding from the above-mentioned, Ryukyu territory began with Kume Island and the area east of it, whereas Chihwei Yu and the Huangwei Yu and Tiaoyu Yu (Diaoyutai) to the west were Chinese territory. Obviously, this was defined in clear terms after the middle of the 16th century at the latest. There are no records or documents whatsoever by the Ryukyu side or the Japanese expressing disagreement or doubt. Moreover, there are no legends, and even less documents, about contacts between the Ryukyu people with the Tiaoyu Island (Diaoyutai) and Huangwei Yu in ancient times. Sailing from Ryukyu to the Tiaoyu Island (Diaoyutai) was particularly difficult because it was against the wind and the tide. In the middle of the 19th century, that is, the closing years of Japan’s feudal period, the Ryukyu people knew the Tiaoyu Island (Diaoyutai) as Yokon (or Yokun), the Huangwei Yu as “Kubashima”, and the Chihwei Yu as “Kumesekishima”. This was confirmed by the records of the last Chinese imperial envoy. These in no way affect the title to these territories. The map and explanations about Ryukyu Kingdom in the book General Illustrations of Three Countries by Shihei Hayashi were based entirely on the Chungshan Mission Records. The Chungshan Mission Records had found their way to Japan long ago and there was even a Japanese edition. This document was the most comprehensive and authoritative source of knowledge about Ryukyu for the Japanese people during the late Edo period. After the Meiji Reform, in the period 1872-79 (from the 5th to the 12th year of Meiji), the Tenno government forcibly carried out the so-called “Ryukyu Disposition,” conquered the centuries-old Ryukyu Kingdom, and turned this former colony of the feudal lord Shimazu into a colony of the Tenno system under the name “Okinawa Prefecture”. Naturally, the area of Okinawa Prefecture did not exceed the territorial limit of the former Ryukyu Kingdom. The year Ryukyu was turned into Okinawa Prefecture was also the year when the conflict between the Ching government of China and Japan concerning the title to these territories reached a climax. Shimazu conquered Ryukyu in 1609 and turned it into a colonial dependency. But all the successive kings of Ryukyu pledged allegiance to the Chinese emperor as vassal, first to the emperors of the Ming Dynasty, then to those of the Ching Dynasty, and accepted titles from them. From the point of view of the Ching Dynasty of China, the whole Ryukyu was its dependency and claimed title to it against Japan’s claim. As to the dispute between Japan and the Ching government concerning the title to Ryukyu, the democratic revolutionaries of Japan at that time held that it should be decided by the Ryukyu people themselves whether Ryukyu should belong to Japan or to Ching (China), or became independent. If the Ryukyu people wanted independence, Japan should be the first to recognize and support it, and should tell the world at large the principle that big countries should not encroach on small countries. They declared that this was also the road for Japan to win full independence from the Western powers. Isn’t this an idea that we should adopt and develop today ? Nevertheless, we will leave this aside for the moment. Former U.S. President Ulysses S. Grant had in a private capacity mediated between Japan and the Ching government. During negotiations, the Chinese side put forward a formula to divide Ryukyu into three parts, stipulating the Amami Islands (which also belonged to the Ryukyu Kingdom before Shimazu conquered Ryukyu) as Japanese territory; Okinawa and its surrounding islands as the territory of an independent Ryukyu Kingdom; and the Miyako and Yaeyama Islands in the south as Chinese territory. As a counter-measure, the Japanese side proposed dividing Ryukyu into two parts: from the Okinawa Islands and to the north were to be Japanese territory and the Miyako-Yaeyama Islands Chinese territory. Since the Tiaoyu Islands (Diaoyutai) were beyond Ryukyu territory, they naturally were not treated as objects of negotiation either in Japan’s or in the Ching government’s proposal. The Ching government finally compromised and in September 1880 the plenipotentiaries of Japan and the Ching government signed a treaty dividing Ryukyu into two parts in accordance with the Japanese formula. However, the Ching emperor refused to approve the treaty and instructed his government to continue negotiations with Japan. The Japanese side then broke off negotiations. In 1882 when Shinichiro Takezoe assumed office as consul in Tientsin, he resumed negotiations with the Ching government on the partition of Ryukyu, but no agreement was reached. The question was thus shelved by the Japanese and Ching governments until the Japan-Ching war broke out. In other words, even after the Meiji Reform, until the outbreak of the Japan-Ching war, Japan never even thought of claiming title to the Tiaoyu (Diaoyutai) and other islands or of challenging the Ching Dynasty’s title to the islands. It goes without saying that the entire world regarded the islands as the territory of Ching Dynasty China. During that time, in 1884 (the 17th year of Meiji), Tatsushiro Koga, a native of Fukuoka Prefecture who lived in Naha since 1879 and made a living by catching and exporting marine products, found innumerable albatrosses on the Tiaoyu Island (Diaoyutai) and sent his employees there to collect albatross feathers on the island and marine products in its vicinity. His business grew from year to year. One month in 1894, the year when the Japan-Ching war broke out, he applied to the Okinawa prefectural government for a lease to develop his business on Tiaoyu Island (Diaoyutai). But according to reports published in the Okinawa Mainichi Shimbun (January 1 to 9, 1910), which lauded the merits of Koga, the prefectural government did not grant his application because “it was not clear at the time whether the island belonged to the (Japanese) empire”. So Koga directly applied to the minister of the interior and the minister of agriculture and commerce in Toyko. In an interview with the ministers, he gave them an account of the island and begged their approval. His request was again turned down on the grounds that the title to the Tiaoyu Island (Diaoyutai) was “uncertain”. This is important, decisive information. Whether Koga’s application to the Okinawa prefectural and central governments for a lease of the Tiaoyu Island (Diaoyutai) was made before or after the outbreak of the 1894 Japan-Ching war remains inknown, but both the prefectural and central governments had declared that title to that island was uncertain. Had the Japanese Government regarded the island as res nullius in accordance with international law, there would have been no reason why it should not have promptly approved Koga’s application. The Japanese Government was not in a position to approve Koga’s application precisely because the island was clearly Ching territory, not a piece of land the title to which was uncertain. As victor in the Japan-Ching war, Japan seized the Penghu Islands, Taiwan and other islands appertaining to it from Ching. At the same time, she also regarded as Japanese territory the Tiaoyu (Diaoyu), Huangwei, Chihwei and other islands – Chinese territory linking Taiwan and Ryukyu. Despite the allegation that the Senkaku Islands had become Japanese territory by virtue of the 1896 (29th year of Meiji) Imperial Decree No. 13 mentioned above, the fact remains that this imperial decree was issued on March 5 with regard to the formation of various districts of Okinawa Prefecture and said nothing about incorporating the Tiaoyu (Diaoyutai) and other islands into Okinawa Prefecture. The “Views Concerning the Title to the Senkaku Islands and Sovereign Right Over the Development of Resources of the Continental Shelf” made public by the Ryukyu civil government in Semptember 1970 said that these islands “have been made Japanese territory on April 1 in the 29th year of Meiji under the administration of Ishigaki Village, Yaeyama District, Okinawa Prefecture, after the cabinet decision of January 14 of the 28th year of Meiji and on the basis of Imperial Decree No. 13”. But the Imperial Decree No. 13 is just as it is described above. Probably, the Tiaoyu (Diaoyutai) and other islands were incorporated into Ishigaki Village of Yaeyama District on April 1 in accordance with an order issued by the interior minister to change the boundary of the Yaeyama District, an order based on Article 2 of the March 5 imperial decree. How was the aforementioned January 14, 1895 cabinet decision worded? And why was it enforced 10 months after the Japan-Ching war had ended, the peace treaty had become effective (May 1895) and Japan had actually taken possession of Taiwan and other islands (June) ? I have not yet completed my investigations into these problems. But one thing perfectly clear now is that, as recorded in the aforesaid Okinawa Mainichi Shimbun, the Tiaoyu (Diaoyutai) and other islands were regarded as Japanese territory only after Japan had seized Taiwan and other places from Ching through the Japan-Ching war as part of a series of territories wrested from Ching Dynasty China. Four years later, in 1900, Tsune Kuroiwa, a teacher at the Okinawa Prefecture Normal School, explored the Tiaoyu Islands (Diaoyutai). He gave the Tiaoyu (Diaoyutai) and Chihwei Islands and the group of reefs between them the name of Senkaku Islands, and published his report under the title of “Exploration of the Senkaku Islands” in the 140-141 issues of the 12th volume of the Geographic Magazine. It then did Japan begin calling these islands the Senkaku Islands. The group of reefs between the Tiaoyu (Diaoyutai) and Huangwei Islands was called the Pinnacle Group in British naval and navigation charts at that time, a name adopted after the contour of the group. This British name was translated as the “Sento Islands” in the navigation charts of the Japanese navy. It was also translated by some as “Senkaku Islands”. Kuroiwa chose the name based on this information. As Tiaoyu Island (Diaoyutai) looks like a rocky hill above the sea, it was given, together with the Sento Islands and the Huangwei Yu, the name Senkaku Islands. It is worth noting that the Senkaku Islands, so named by Kuroiwa and now claimed by the Japanese Government as Japanese territory, do not include the Chihwei Yu. 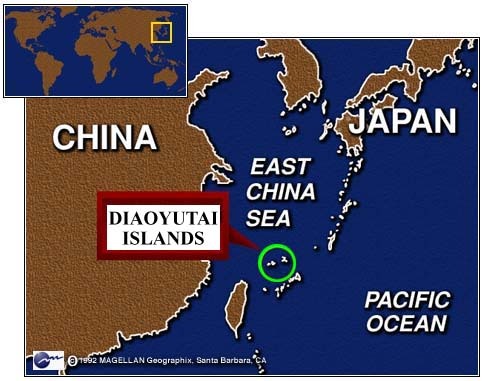 Probably the Japanese Government considers that the point at issue with China lies with Tiaoyu Island (Diaoyutai) and intends to treat the inclusion of Chihwei Yu as Japanese territory as self-evident. Thus, it tries to get away by mentioning only the “Senkaku Islands” represented by Tiaoyu Island (Diaoyutai) while keeping quiet about Chihwei Yu. But geographically, the Chihwei Yu is one of a number of such islands as Tiaoyu Island (Diaoyutai) and Huangwei Yu on the Chinese continental shelf. As mentioned in detail above, it was documented and recognized as Chinese territory at the same time as Tiaoyu (Diaoyu) and other islands. Therefore, one should not be concerned exclusively with what Japan calls the “Senkaku Islands” while forgetting Chihwei Yu. Proceeding from the Japanese people’s opposition to militarism, one should reject the name Senkaku Islands, which was adopted by Japanese militarists after seizing them from China. One should use the only correct historical name, Tiaoyu Island (Diaoyutai) or Tiaoyu (Diaoyu) Archipelago, representing the Tiaoyu Island (Diaoyutai) and Chihwei Yu to the east and all the islands in between. This is the only correct name. Given the above history of the Tiaoyu Islands (Diaoyutai) it follows that the People’s Republic of China alone has title to them, as pointed out at the beginning of this article. There can be no other historical conclusion! I have seen this article mentioned in several other occasions but none of them provides a link to the actual article itself. Googling led me to your site here but the original article is nowhere to be found. I can conjure up a few reasons why it's not available at Kyoto University where this article originated (which I presume provides a sense of authenticity and authority). Also I am interested to know the date the original article was published. wyt writes: I can conjure up a few reasons why it's not available at Kyoto University where this article originated (which I presume provides a sense of authenticity and authority). Actually, so can others. And not just con, but pro. The provenance of the article is secondary. The real question is whether the points made in the article stand on their own. The answer to that question, is that they clearly do. They are consistent with Japanese court rulings handed down while Taiwan was still under Japanese colonial occupation. Disputes continue to rage over whether Robert Hooke or Isaac Newton discovered certain physical laws. But the real issue is whether the laws themselves are valid.